We offer wide and quality range of Colour Mixing Machine. These machines are used in mixing two different material of plastics. 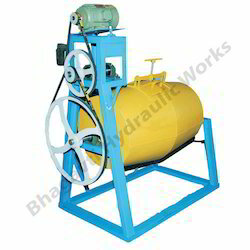 For making this machine we used best quality tested raw materials and we manufacture these machine in accordance with the industries norms and parameters under valuable guidance of our experts. This mixer is available in different models, dimensions and specifications and also as per customers requirements. Looking for Colour Mixing Machine ?